Rather than making New Year’s resolutions that I’d probably break before the end of January, I decided to look back on 2014, the first year of my retirement, to see how my vision corresponded with my reality. In Part 1 and Part 2, I explored six specific areas of focus. Here in Part 3, I look at three more. When I envisioned my retirement years before I actually made the step, I knew they would include ongoing education. There are so many subjects I want to learn about and, fortunately in my city, there are many avenues I can take to pursue this knowledge. I’ve already taken classes on Photoshop and social media (both free through the Continuing Education system) and there are so many other subjects I am interested in. 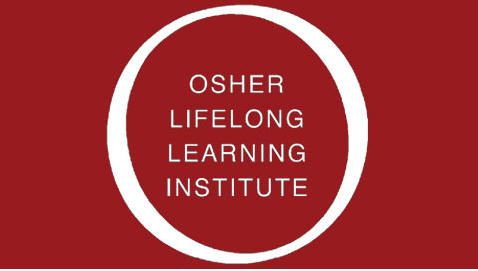 We are fortunate to have several colleges in the area that offer courses through the Osher Lifelong Learning Institute that I plan to take advantage of. If you haven’t heard about Osher, I encourage you to Google them and see if they offer classes where you live. I’m giving myself a C because I sort of took the spring and summer off right after I left work. I expect to refocus in the new year and feed my brain on a regular basis. I’ve always been a fairly creative person; in fact I was a graphic design major in college. For those of you who haven’t reached 50 yet, it’s probably difficult to picture a time when design was done without a computer, but that was my world. Soon after I graduated, I decided not to make a career out of art and get into something more stable and lucrative. I’ve dabble in artistic pursuits on and off over the years, but I looked forward to the free time I’d have in retirement to reawaken my creative side. I’ve made some progress, mostly in photography, but I want to do much more. This is the biggie. I wasn’t sure how being together almost 24-hours-a-day would affect my relationship with my husband. As solid as our marriage is, I realized that we needed to be mindful of this huge change in our lives. Would each of us get enough “me time”? Would we still find joy in being together? Would we drive each other crazy? Looking back on the past year, I think we’ve done a great job adjusting to our new reality. It takes a lot of work, flexibility, and good communication, but isn’t that true of any relationship? I consider my husband my best friend and I know we are each other’s biggest fan. We can always improve (hence the B+, not an A), but there is no one else I’d rather find joy with or drive crazy. So, tomorrow night is New Year’s Eve and we plan to spend a wonderful evening with good friends. We may even stay up until midnight (or, not). 2014 turned out to be a very good year and I look forward to filling 2015 with great adventures, personal growth, fulfilling connections with others, healthy living, and much laughter and joy. I wish the same for you. I give you a solid A. You’re great as a retiree! High compliments from my retiree mentor and good friend! ‘Janis, I agree with Maggie. I think you’re being a little hard on yourself AND you deserve an A for having your priorities in the right place: continuing to learn – especially in new directions – taking care of your health, and nourishing your evolving relationship as coupled retirees. All of those add up to ‘well-lived” being part of your legacy. There is also an online free-course – the acronym is MOOCS (Google it) that has interesting-sounding classes. I have enjoyed your recap and we will have fun in 2015 sharing our new adventures, explorations and discoveries 😊. Plus some hearty laughter now ‘n then!! I appreciate your positive input, and the tip about MOOCS – I’ll check them out! I look forward to continued interaction in the blogosphere… and, of course, lots of shared laughter. Have a great New Year’s! You sound like you are doing well. The one thing that I have failed at in retirement is taking piano lessons. Truthfully at this point I don’t have the interest. I told my husband this week that I am thinking of selling it. Free classes are the best! I have so many projects in the beginning stages stashed here and there. Knitting, for instance… if I haven’t started learning how to do it after five years of buying the needles and yarn, I’m probably not going to. At least those fit under my desk… a piano – yikes! Happy New Year to the two of you as well! There are some terrific educational opportunities out there – free and low cost – including on-line. I have no aptitude for languages or music, but they sound like great ways to explore your passions. I agree that a good, healthy relationship is the key! In addition to everything else that is wonderful about him, he makes me laugh… a lot. I am looking forward to a terrific 2015 (it’s already starting off great) and wish you the same.